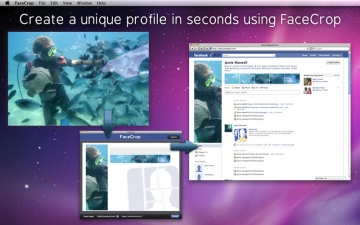 [値下げ] FaceCrop | Mac App Storeのアプリ検索・ランキング BuzzMac! 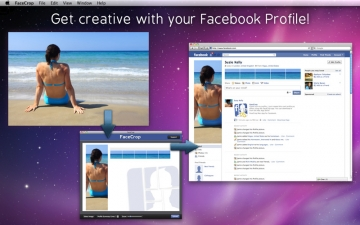 FaceCrop for Facebook lets you create a very unique arrangement of your profile pics, giving your entire page a distinct look and feel. It is bound to leave your friends impressed and have them asking how you did it! The app is incredibly simple to use - just choose an image from your computer, select the number of profile lines, set the zoom level and the app will upload the images to your Facebook account. Download this app today and be the first of your friends to customise your profile page using this cool technique. Please join our Facebook fan page and show us the creative designs you come up with! 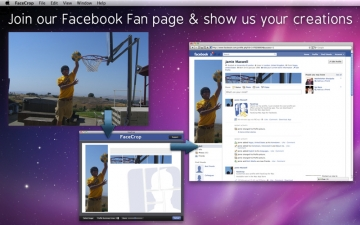 - You must be using the new Facebook profile layout to make use of the effect you see in the screenshots below. 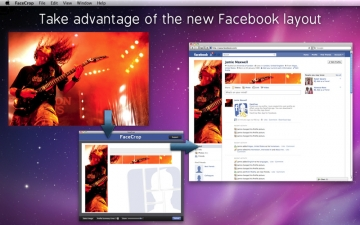 - FaceCrop is not a product of nor endorsed by Facebook Inc.
- The Facebook name and logo are trademarks of Facebook Inc.